A new way of charging e-bikes that can help avoid fires is being tried out in several residential complexes across the city. At Guanglan Liyuan in the Pudong New Area, residents can scan a QR code, charge their bikes and receive a phone message when the battery is full. Charging will automatically stop. Overcharging e-bikes can start fires because residents are not always around to monitor the process. 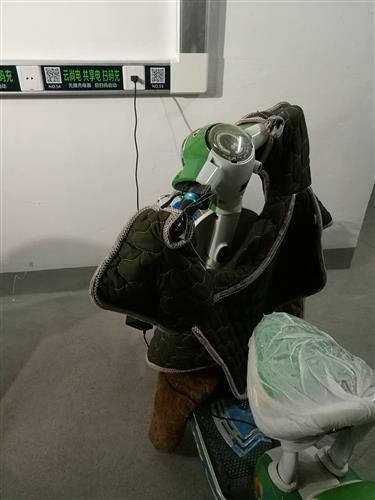 An e-bike being charged on a socket with the new QR code safety system in Guanglan Liyuan. Meters show the total amount of electricity in charging e-bikes from each socket. At this complex of over 600 households, 78 sockets enabling this way of charging have been installed, adding to more than 800 installed in around 20 residential complexes across the city in the past six months, according to Kunling, a local tech startup which came up with the solution. If power strips are used, another fire risk, the sockets can detect them and stop charging, and if charging takes longer than normal, a message will be sent to the owner to check if there’s a problem, the company said. One charge lasts six hours, and no “fast charging” options are available, as that is also a fire risk. A charge costs 1.3 to 1.5 yuan (19-22 US cents), slightly more expensive than using ordinary sockets. An added advantage with the new system is that, because owners are notified when the battery’s full, it will make it easier for police to track down a stolen bike. Wei Conghu, the community police officer at the complex, said residents no longer charge bikes in the buildings or by using extension cables from apartments, yet another fire risk. “Since the riders park their bikes in a parking spot with surveillance cameras, this residential complex has had no bike thefts in recent months,” he said, adding that the fire authority had also welcomed the new technology solution to e-bike charging. 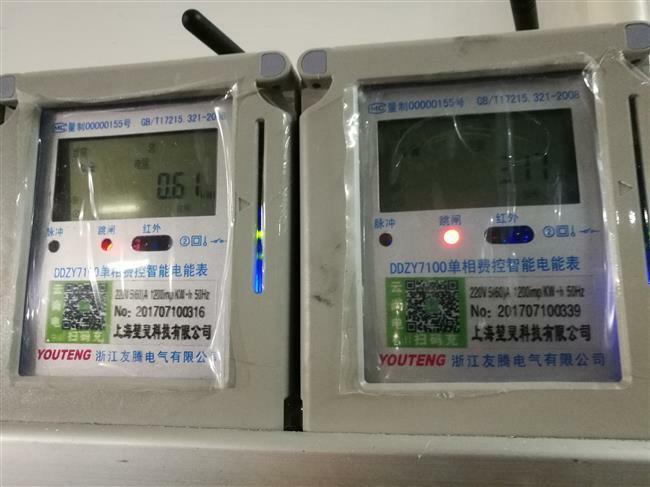 However, at Ouyang Huayuan, a residential complex in Hongkou District, where 10 sockets with QR codes were installed about two months ago, nine have been hardly used. An e-bike rider surnamed Dong said he doesn’t use them because he had prepaid for both parking and charging, and didn't want to pay extra for charging from the new sockets.